A kitchen could be perceived as sub sonic phenomena of meta-cooking; the fridge, a micro-orchestra or the oven as a desert-powered sun playing micro-tonal explosions. Social activities producing sound and linguistic interactions, the audio paintings of our family relationships or the mimic of the mundane everyday becoming colourful speeches. Since the dawn of time, humans have been influenced by their own everyday-lives and environment. 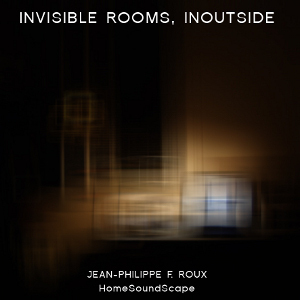 HOMESoundscapes is a series that aims to interrogate the boundaries of this personal habitat. Artists are asked to develop a sound pieces based on the notion of their personal habitat/habitus and open up the discussion on how the home and the everyday is percieved from this sonic viewpoint. 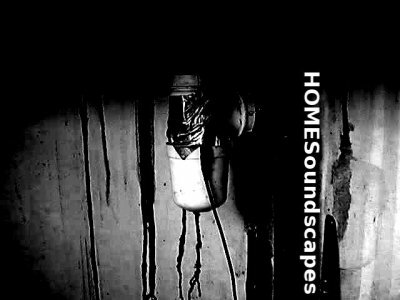 HOMESoundscapes is interested in questions surrounding personal sonic constructs of the home environment. How does you personal environment influences you? How does sound occurs in it? Is it sound you hear or a conceptual perception of possible sound? How do you understand the soundscape and sonic activity produced in your environment? Does the soundscape of your personal space influence your creative output or your vision/perception of life? play at quite volume, in relation to the sound level of your surrounding. I have been making machine to compose new music since over two decades now. My aim is to propose a music that goes beyond its production by human hands. If human are needed to write the codes or the mechanism, he/she is no longer required to compose or play in the classical sense of the writing and the performance. On the other hand, this specific music-machine composer propose a continuum-flux of bells sound with large amount of silence and pauses and it had been conceptualized for a domestic environment but also for a distant listening that permits to think and connect with our living houses. This is an extract of a streaming continuum-flux that most of you could listen in a non-stop sound environment installation with light random changes in the pitch, silence and rate of the sound. It allows those who listen to think, read or meditate in their living spaces. Its musical purpose falls into the everyday life permanent state of listening and makes you aware of your surroundings sounds and acoustic space.